I had a job out of town on Friday, so I took the opportunity to check out a hiking area in Chico, which also happens to be the home of Sierra Nevada Brewing Company (more on that later!) 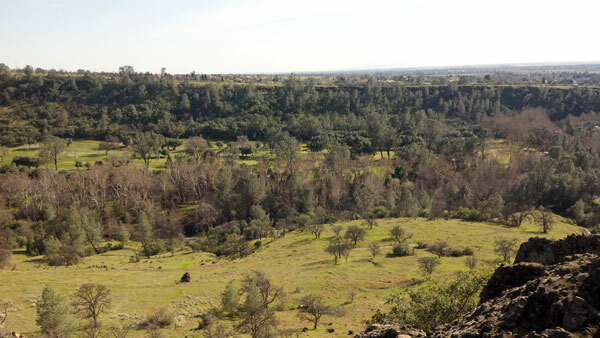 I consulted with a few of my Sacramento friends who had previously lived in Chico about where I should go to hike and they told me, hands down, Upper Bidwell Park. 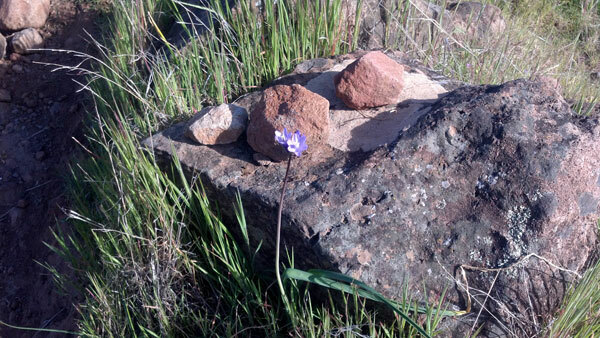 The land for Bidwell Park was donated by John and Annie Bidwell in 1905 for recreational use. It turns out that Annie, being a strong supporter of prohibition, mandated that there be no alcohol allowed on the premises and no public picnics on Sundays. Although the alcohol mandate still applies today, I highly doubt that people aren’t allowed to picnic on Sundays judging from the amount of people that were enjoying themselves there on Friday. I started out parking near Horseshoe Lake, which wasn’t much of a lake, but more like a giant mud puddle. However, people were kayaking around in it, so I’m guessing it has some depth. From Parking Area B, I hopped on the North Rim Trail. I decided I wanted to practice carrying a little more weight, so I strapped on my day pack with all of my overnight stuff in it, and headed up the trail. It was a gorgeous day (around 75 degrees!) and plenty of people were taking advantage of the trails. I quickly hiked toward the junction to Middle Trail which would take me by Monkeyface, a rock formation that apparently looks like a monkey’s face, but I couldn’t see its resemblance. 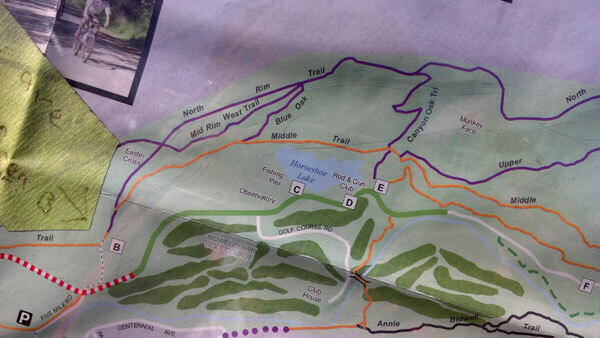 Regardless, I continued down Middle Trail and to the top of Monkeyface. I encountered a grandmother and her grandchildren having lunch at the top – cute! From there I caught the remaining loop section of the North Rim Trail, and followed it right back around to the Parking Area. All in all I hiked about 3 miles in 1 hour carrying my 20 lb pack and I felt great! 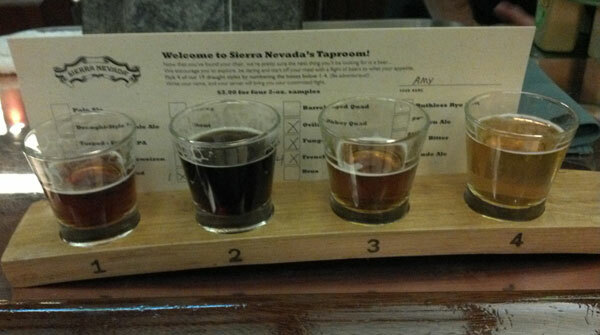 Aside from the hiking, I was able to enjoy a few beers at Sierra Nevada Brewing Company before heading out of town! I’ll leave you with this mouth watering picture. Until next time – cheers!